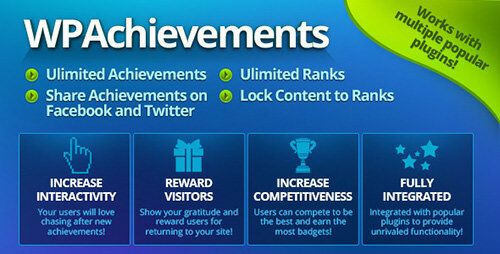 WPAchievements is one of the best WordPress Achievements, Quests & Ranks Plugins. It is a perfect extension for your WordPress powered website to improve your user’s experiences and increase user interactivity. With WPAchievements you can create and manage user achievements, quests and ranks with ease.